Offering a simple, sturdy design and craftsmanship that will last a lifetime, our Homewood Shaker Leg Table is perfect for classic kitchen or dining room. Built by Amish artisans to last for generations, your Homewood Shaker Leg Table can become whatever you design. 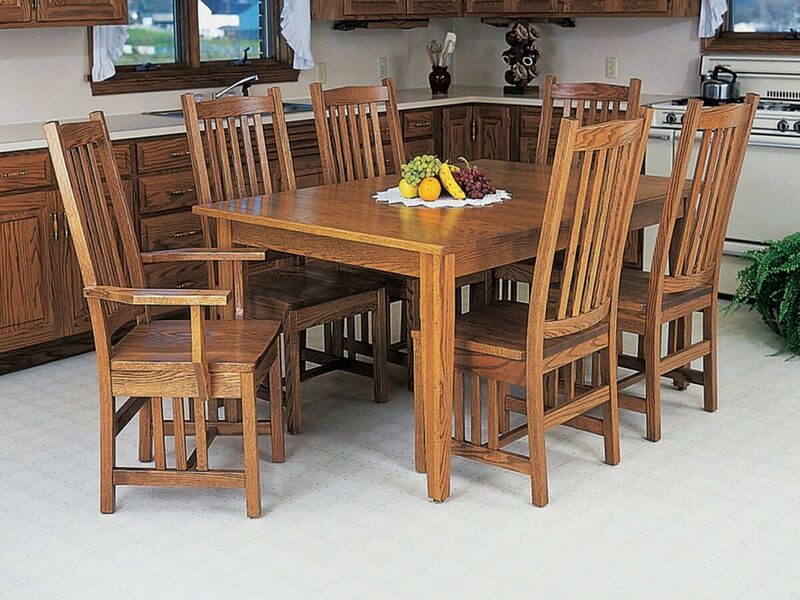 Our craftsmen will take your chosen hardwood and stain and handcraft the perfect dining room table just for you. Available in 12 various sizes with up 20 extension leaves, this table can accommodate families both small and large. Choose from our options menu and the Homewood Shaker Leg Table you envision will be built to order and delivered to your home. If you are unsure on stain or wood finish, select samples and Countryside will send these out right away. ****Leaves are not included in base dimensions. Each leaf adds 12".